A dark shadow of fear has fallen over Newpointe, Louisiana. First one, then another of the town firemen's wives has been murdered, a third has barely escaped an attempt on her life. Incredible as it seems, a serial killer is stalking this sleepy little southern community. And Mark Branning's wife may be next on the list. Mark is determined to protect her. But keeping Allie alive won't be easy - not with their own marriage already dying a bitter death. Unless they renew their commitment to each other and to God, someone else may settle their problems permanently. And time to decide is running out. 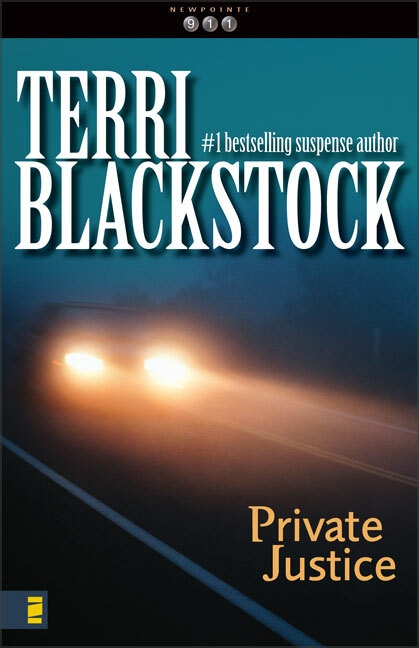 "Private Justice" is book one in the "Newpointe 911" mystery series by award-winning novelist Terri Blackstock. "Newpointe 911" offers taut, superbly crafted novels of faith, fear, and close-knit, small-town relationships, seasoned with romance and tempered by insights into the nature of relationships, redemption, and the human heart. Look for book two, "Shadow of Doubt", coming soon to your favorite Christian bookstore. Private Justice by Terri Blackstock was published by Zondervan in May 1998 and is our 18093rd best seller. The ISBN for Private Justice is 9780310217572. Be the first to review Private Justice! Got a question? No problem! Just click here to ask us about Private Justice.